Our cozy holiday apartment is quietly located in a typical Tyrolean house. 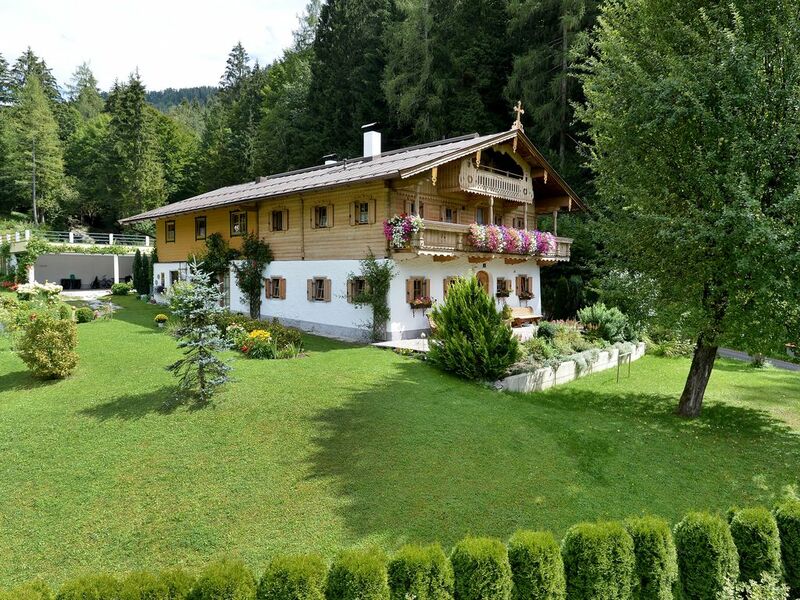 The house is located in the middle of the famous ski region of the Kitzbühler Alps and just a few kilometers from the hiking area and nature reserve 'Wilder Kaiser'. It's an ideal vacation spot for families and activities - open all year. There are no road tolls and easily reached from Germany. Further Details: Large lawn with grill house and playground. The house is located approx. 1 km outside Erpfendorf, 18 km east of the famous ski region of Kitzbühel. In the immediate vicinity, one can find lots of vacation activities and just about all types of sports. Ski: The house is located at an altitude of 640 m in the ski region of Kitzbüheler Alpen with 260 lifts and cable cars - 680 km of slopes - 220 km cross country trails - lighted sledding paths - ice skating - winter sleigh rides with horses - wonderful winter hikes and ski tours - attractive indoor pools - après ski - discos.